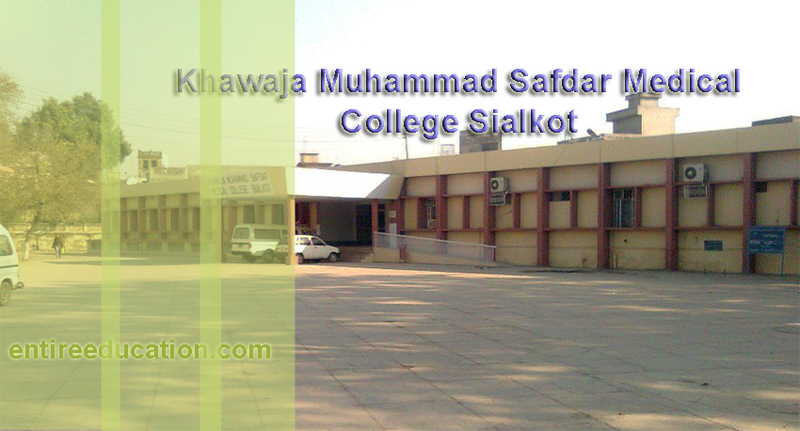 Khawaja Muhammad Safdar Medical College is a public sector medical institution located in Sialkot Pakistan. Formerly the institution is known as Sialkot Medical College (SMC). The institute was established in 2002 with the amount of PKR 450 million. Initially there were only 30seats for MBBS study program in 2003, which were shifted to the services institute of medical sciences Lahore due to the non-completion of project. Later in 2007 the president has again announced the construction of medical college but the working on project is still in pipelining. A temporary office of the project was made in Allama Iqbal memorial hospital Sialkot which is an affiliated teaching hospital of KMSMC for clinical practice. The college has got recognition from Pakistan Medical and Dental Council (PMDC) for the degree of MBBS. In 2010 the number of students enrolled increased from 30 to 100 per annum. The institute is also listed in Foundation for Advancement of International Medical Education and Research (FAIMER) which is a non-profit organization. The recent principle of KMSMC is Prof. Dr Zafar Ali Choudry who is a Professor in the department of Surgery. The construction of KMSMC in Sialkot is considered as a big milestone in development of health care sector in the city. Allama Iqbal hospital is one of the major hospitals that comprises of 400 beds. Whereas Sardar Begum Memorial Hospital has 135 beds. Both hospitals are attached with KMSMC. Currently the institute is offering only Bachelors of medicine and bachelor of surgery (MBBS) degree. This is a 5 years of academic study programs. Admissions are offered once in year and the students’ enrollment for every year in 100. The classes are held in one of teaching hospital of college. The construction of permanent academic block and hostels are under progress. The course work comprises of class lectures and clinical demonstrator. The college has qualified clinical demonstrator for each clinic subject. Admission in college will start after the government entry test for medical colleges. Admission forms are available at the official website of the college. HSSC Pre-medical or equivalent certificates with 60% marks are necessary for admission. Only those candidates are eligible for applying who have cleared UHS, any board or province test for medical colleges. sir i have 876 marks in matric and 910 marks in fsc and 731 in uhs. so can i get admission in this college? Yes, you get admission in this college. When merit list is final then you see status on UHS website. Dear, you will recieve confirmation letter from UHS. Then after this go for Fee Submissions. Secondly, you call in Admission Cell of Khawaja Muhammad Safdar Medical College. How much percentage should I have to get admission? 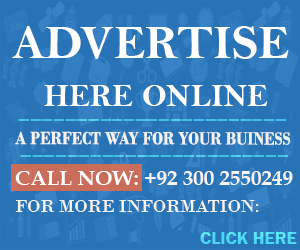 You need to obtained minimum 85% marks in UHS Entry Test + FSc for getting admission in this medical college.